The Centre for Editing Lives and Letters (CELL) develops projects focused on making archives matter, concentrating on the years 1500 to 1800. The MA in Early Modern Studies reflects CELL’s ethos, marrying traditional archival skills with cutting edge technology. Located at University College London (UCL), CELL consists of graduate and doctoral students, researchers, teachers and writers. CELL's projects have over the last ten years set the standard for marrying rigorous standards of traditional scholarship to the new possibilities opened up to us by the transformations in communication and information technologies. Here you can find the research we're pursuing right now, as well as older projects. 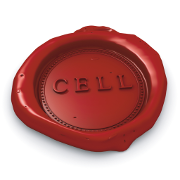 CELL equips its postgraduate students with the skills necessary to conduct and transmit their archival research. Courses in paleography, critical bibliography and information technology are available. We are very proud of the CELL community – not just members of our core research team, but our students, our alumni, our friends and our associates. Discover who we are and how we all make CELL one of the happiest corners of the academic world. Find out about the latest at CELL! We use this space in conjunction with our Facebook page and Twitter feed to advertise job opportunities, plug CELL appearances in the media, congratulate our students and colleagues on their successes and think about the place of the humanities in higher education and the world at large. Call it a blog if you'd like. Please feel free to contact CELL with any queries or suggestions you may have! The Archaeology of Reading in Early Modern Europe, exploring historical reading practices through the lens of manuscript annotations preserved in early printed books. Building a Library Without Walls, documenting Thomas Bodley’s eﬀorts building the legendary Bodleian Library at Oxford University. The Diplomatic Correspondence of Thomas Bodley (1585-1597), covering all the letters between Thomas Bodley and his correspondents between the years 1585-97, as well as miscellaneous correspondence. The Hooke Folio Online, where the long-lost manuscript of the papers of Robert Hooke are transcribed and encoded in XML, making available large amounts of new information about the day-to-day activities of the early scientiﬁc establishment. The Letters of William Herle, providing transcripts of 302 of Herle’s letters written in English and a series of indexes by which they can be browsed. The Workdiaries of Robert Boyle (1627-91), a fully revised and enhanced reworking of an earlier edition prepared under the direction of Professor Michael Hunter. As well as images of the manuscripts, the revised edition includes a new interface and search and reference facilities.